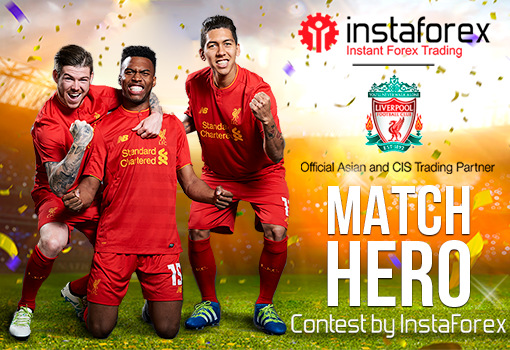 For the first time ever, InstaForex kicks off a truly unique contest – Match Hero. 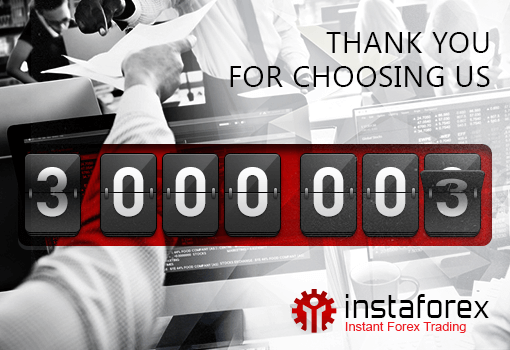 Unlike other InstaForex competitions, this one does not involve trading at all! Match Hero is a contest for football fans with passion of true players.What is so unique about this contest?For more than two years, InstaForex has partnered with the legendary Liverpool, a Premier League association football club. Now the company gives an opportunity to guess the best player of the match before the start of each game (the contest period includes 14 games). Moreover, the contestants have four attempts to guess the player which means that you can get up to 4 points in each match.This summer we will sum up the results and determine two winners: one – among traders with the biggest score, and another one – among LFC players with the best performance.And the icing on the cake is a fully paid trip to the one of the LFC matches in Asia for the contest winner. He will give the prize for the best football player in front of the whole stadium.Moreover, the top ten participants will be awarded with such great prizes as all-expenses-paid trips to Liverpool matches of the Premier League (including the VIP tickets), LFC merchandise with the players’ autographs, as well as bonus trading accounts with a $1,000 deposit. This summer we will sum up the results and determine two winners: one – among traders with the biggest score, and another one – among LFC players with the best performance. Moreover, the top ten participants will be awarded with such great prizes as all-expenses-paid trips to Liverpool matches of the Premier League (including the VIP tickets), LFC merchandise with the players’ autographs, as well as bonus trading accounts with a $1,000 deposit. 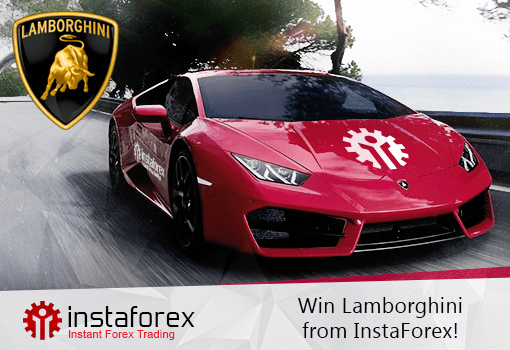 Win Lamborghini Huracan in InstaForex campaign! InstaForex informs you of a new campaign! This time, we raffle off a Lamborghini Huracan, a premium sports car of over 500 horsepower from the legendary Italian car manufacturer. The keys to one of the most expensive cars in the world will be presented to an accidental trader who will be selected by means of a so-called Lamborghini-number. On the final day, Forex rates of five currency pairs will be fixed exactly at the closing bell. The mega campaign is held from December 26, 2016 until December 20, 2019. Anyone can become a lucky owner of the posh coupe. A trader should deposit at least $1,000 to a trading account and register for the campaign. Believe us that everyone has a fair chance to win a gorgeous sports car. Our company has always raffled off the most expensive posh cars. Besides, InstaForex has achieved leadership among other brokers in terms of bonus funds. Join InstaForex campaign and win a dream car! Starting working on Forex every experienced trader came across the concept of multiple time frame analysis. One might look for the answer for such questions as “Which time frame is the best?”, “Which one is the most profitable?”, etc. In order to answer it, we should examine each of them. On the daily chart every bar represents one day; thus, changes on the chart will be observed once a day. On the 1-hour chart new bars appear every hour, providing trader with information. Bars on the 5-minute chart appear every five minutes, showing dynamically the current situation on the market. In order to choose the most appropriate time frame, you should take into account several criteria: the period you will be working with the charts, profit, the amount of your deposit, and account management. If you prefer a more moderate pace of work and you like to follow the changes of the chart every hour; if you consider that 1-hour chart is more reliable and it reflects precisely the price fluctuations as it does not show a great deal of that fuss about nothing that 5-minute chart contains, then 1-hour chart is ideally suited for you. We may think over the other alternative. In case you have regular job and you do not have enough time to observe the situation or you think that changes which occur during the day do not influence the market on the whole, and it is better to analyze the final result in the evening; probably you want to participate in the trade at night making money work for you even when you sleep, consequently, it is better to use daily charts. You have to choose the way you make money on Forex either participating in trading, using every chance, sitting in front of the monitor the whole day or making money relaxed observing price fluctuations from time to time and not breaking your daily routine. Fundamental and Technical analyst alike are employing news to guide their trading decisions. Though their degree of usage may vary, it’s better for beginner traders to familiarize themselves with terms that are usually found within the news. Quantitative Easing for one. Quantitative Easing is an unconventional monetary policy used by central banks to induce support on an economy. It is a stimulant aimed to assist an economy if in case it is in an unfavorable state. The concept behind it is that additional money will flood the market which will give the economy a push by by promoting an increase in lending and liquidity. It is often carried out by buying financial assets from commercial banks and other private institutions with the newly created money to induce a specific amount of money in the economy. At present, the world has already witnessed the said boost for three times already. First was during the time of George Bush back in 2008 wherein $500 billion was initially spent on mortgage backed securities. An additional $750 billion was made during the time of Barack Obama’s first term. By June of 2010, $2.1 trillion worth of assets was already bought by the bank. The second round was demonstrated in 2010 when Federal Reserve provided $600 billion for long-term government bonds. Some claim that this effort was put in vain because the money just ended up in EU’s foreign reserves. The third was the most recent. The buzz started when Ben Bernanke, chairman of the Federal Reserve in America, had announced last September 14,2012 that the third round of the quantitative easing will be given for the $40 billion a month bond purchasing program and also to continue the very low rates policy. Though the unconventional way boosted the economy at first, its effect is dwindling as years passes by. Doubts and debates regarding its effectiveness arose from every corner and some became pessimistic about it. The previous rounds taught traders that they should perceive the possible chain reactions that the third easing will produce rather than just the short term effect.